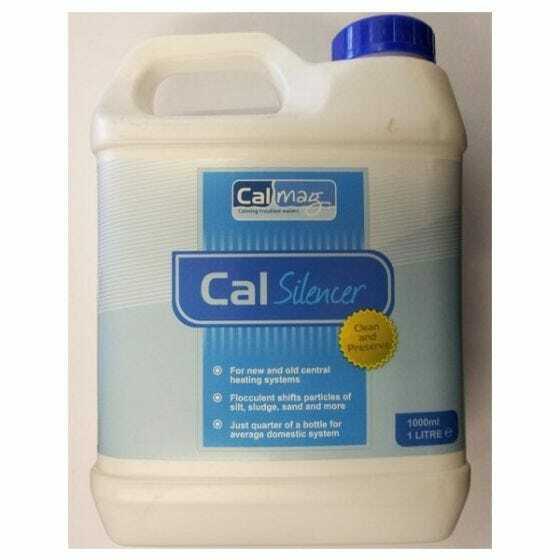 CalSilencer is a flocculent blend developed for the fast, effective, removal of silt, mud and sand deposits. This powerful formula is suitable for cleaning and preserving central heating systems, and also for treating sewage lines, drains, cooling towers and water plants. CalSilencer is a flocculent blend developed for the fast, effective, removal of silt, mud and sand deposits. This powerful formula is suitable for cleaning and preserving central heating systems, and also for treating sewage lines, drains, cooling towers and water plants. CalSilencer creates a small electrical charge on silt particles, causing them to become buoyant for easier flushing out of the system. Ideal for use with new and old systems, treating with CalSilencer gives a long lasting effect, as solid mass is actively prevented from reforming. Compliant with Classification, Labelling and Packaging (CLP) Regulations, aligned with the Globally Harmonised System (GHS). Conforms to REACH Annex II. •Powerful formula for fast, effective removal of silt, mud and sand. •Cleans and preserves - solid mass is actively prevented from reforming. •250ml is sufficient for treating an average domestic system, with no risks from overdosing. •Safe for use with all components and will not harm aluminium or other metals. •Can leave in system for up to 2 weeks. •Ideal for treating central heating systems, sewage lines, drains, cooling towers and water plants.